Feel the rumble of stampeding horses, the shriek from a wailing banshee, the scuff of footsteps on weathered floorboards – for a truly immersive sound experience that can only come from a lifetime in cinema, it’s got to be Krix. 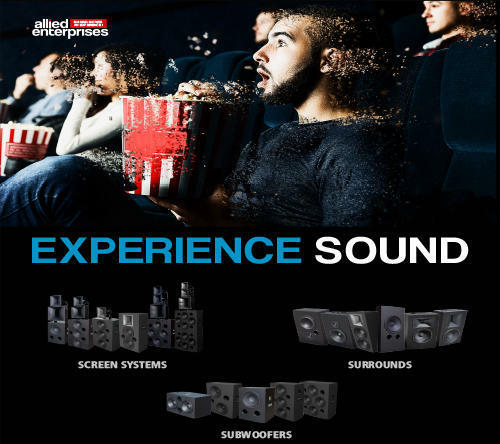 Supplying national and international cinema multiplexes for over 35 years and being featured in over 3000 screens worldwide, Krix are world renowned for high quality, high performance speaker systems. Decades of in-house research and design, incorporating constant directivity horn technology, have produced precision coverage and extremely uniform frequency response, allowing every seat in the cinema to experience improvements in clarity and definition. With drivers designed to handle high power, Krix commercial cinema speakers provide a vast, immersive sound with optimum dispersion, vocal intelligibility, and responsive bass – ensuring every movie soundtrack is delivered with control, clarity and effortless power. For the ultimate cinema experience, play it through Krix. These 4 way designs feature a midrange and ultra high frequency horn, permitting all drivers to work within their piston operating range for the best possible horn loading – delivering the smoothest possible frequency response, matched directivity control and dialogue intelligence across the critical vocal range. Using sophisticated loudspeaker modelling techniques, the acoustic loading and pattern control have been engineered to achieve industry leading low distortion and smooth directivity characteristics. These 2 way screen speakers are the foundation of every great cinema. Using sophisticated loudspeaker modelling techniques, the acoustic loading and pattern control have been engineered to achieve industry leading low distortion and smooth directivity characteristics. Building on a long and successful history within the cinema industry, Krix’s in-house research, development and manufacturing team deliver a strong focus on quality and rigorous production standards. Every speaker is comprehensively tested in an advanced acoustic measurement chamber. Tight production tolerances are upheld to ensure best-in-class product quality and reliability. Whether it’s a dinosaur footstep stomping into the mud, or the deep rumble of thunder on the horizon, a Krix subwoofer will put you right there in the moment. Krix commercial cinema subwoofers effortlessly deliver low frequency reinforcement with tenacious power and tactile punch. Featuring high excursion capability while maintaining incredibly low distortion, you won’t just hear the impact, you’ll feel it in your seat. 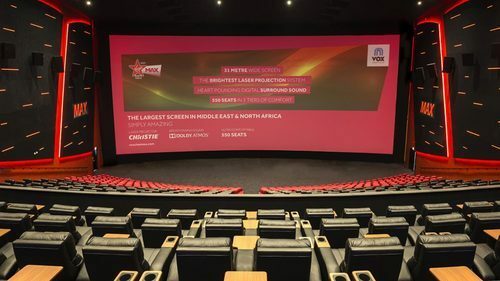 Supplying national and international cinema multiplexes for over 35 years, Krix are world renowned for high quality, high performance speaker systems. Decades of in-house research and design, incorporating constant directivity horn technology, have produced precision coverage and extremely uniform frequency response, allowing every seat in the cinema to experience improvements in clarity and definition. Krix commercial cinema surrounds are highly efficient with effortless power and clarity. With a variety of angled and low profile designs, you can ensure every seat receives the full, immersive experience. These 3 way designs offer a significant improvement in audio quality through the addition of a dedicated midrange horn. This horn reproduces the crucial vocal band to deliver superior dialogue intelligibility. Looking for “Cinema Audio - Krix”?